Mr LI Qingan graduated from the Department of Management (Engineering and Finance Accounting Profession) of Changsha Communications University (長沙交通學院管理系) with a bachelor’s degree in Engineering and Finance Accounting. He is a senior accountant. Mr LI started his career as a financial accountant of the Ministry of Transportation and Communications in July 1989. Mr LI joined China Road & Bridge Corp. (CRBC, 中國路橋集團) in September 1998 and has rich experience in finance management. He served as the general manager of finance and accounting department of CRBC, the general manager of finance and accounting department of CCCC, the provisional party secretary and the director of CCCC Finance Company (中交財務公司). Mr LI joined the Company in March 2015. 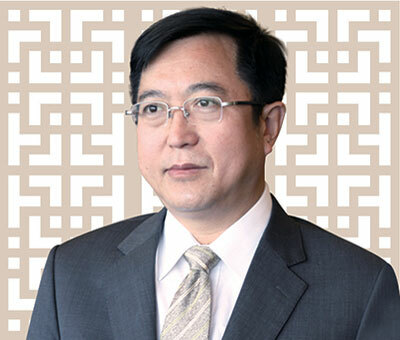 Currently, Mr LI also serves as an executive director of Greentown China, in which he is responsible for the financial and capital management of the company, and he also serves as the Chairman of Greentown Asset Management, as well as a director of Greentown Real Estate, Greentown Project Management, and Greentown Town Development. Mr LI was appointed as our executive Director on 22 June 2015.